This burp cloth is made from a 6-ply name brand cloth diaper and measures 13" x 19". 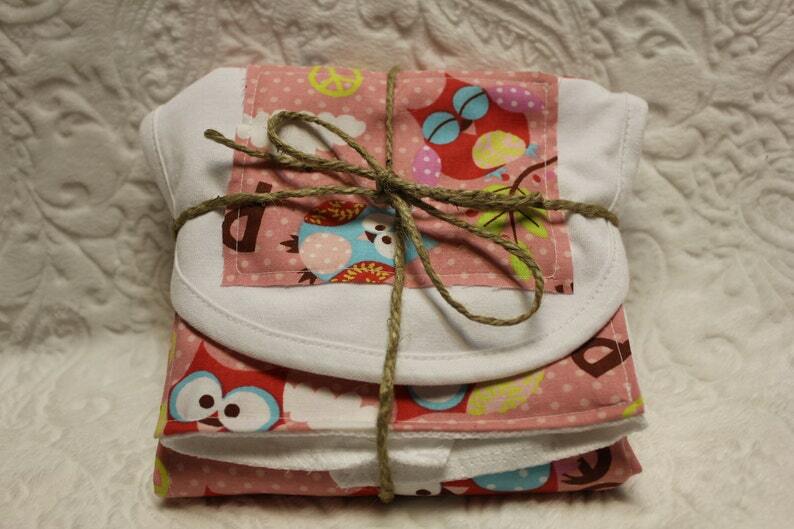 The light pink fabric has white polka dots with blue and red owls all over. The short sayings read "Whoooo" and "Peace".